Located not far from Truro, MacElmons Pond Picnic Park is a great spot for a quiet picnic and some pleasant nature walking. 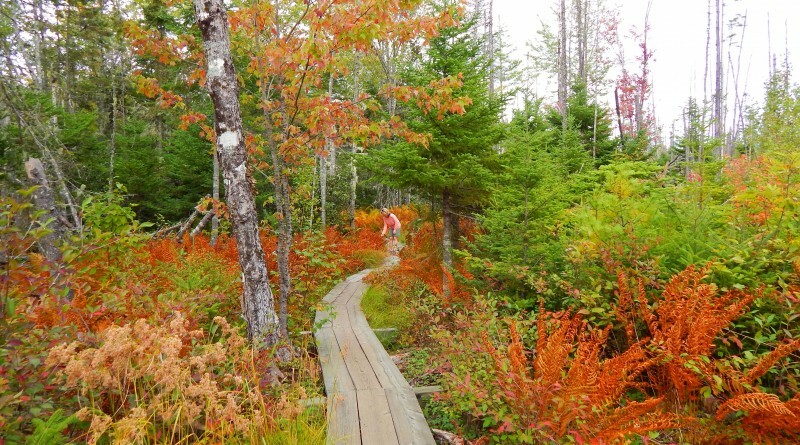 The trail winds through a red pine plantation, a black spruce swamp, an old field, and along the pond itself in a 1.6 km loop that passes by an adjacent wildlife sanctuary. As with most walks in the woods in Nova Scotia, fall is the perfect time to visit – the leaves are turning, the bugs are for the most part gone, and birds and small forest creatures can be seen and heard as you amble along (resident and migratory waterfowl are especially prevalent). There are boardwalks allowing for easy navigation of the boggier sections, and signage indicating some of the forest features. It’s a great way to spend an afternoon after a picnic.